Anxiety. Here at Sharp Apps, we know all about it – deadlines tend to do that to you! But the reality is that, in today’s hectic fast-paced world, more people than ever are suffering from some kind of anxiety; from occasional effects to common issues like performance anxiety or fear of failure to full-blown anxiety disorders which can be severely debilitating. There are many types of therapy available out there, but perhaps none quite so innovative as that created and promoted by Gaze Therapy – a new form of treatment developed by one of our clients, Dr Andrew Ashworth, a registered GP with years of experience studying mental health. We developed gazetherapy.co.uk with one idea in mind: make accessing and trying the therapy tutorials as stress-free as possible (well, it seems very apt in this case). With a simple, clean look and feel and easy navigation – it more than ticks all the boxes. 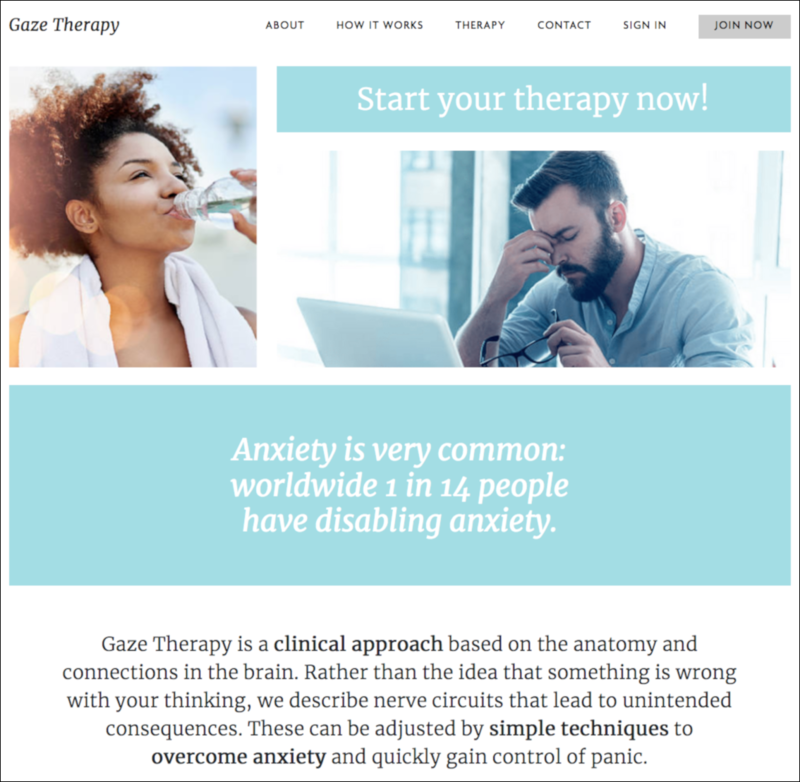 Dr Ashworth will use the site to reach out to big organisations who want sign up to subscriptions to Gaze Therapy treatment, helping them empower employees who want to tackle anxiety issues and manage their mental health in the workplace. A great idea we think – and something to be encouraged. We’re delighted to have played our part in it all.